Posted in Content Marketing, Customer media, Customer media basics, Digital Media, How Great Companies Use Customer Media, by Hammock Inc. In the current Idea Email, we explore ten traits displayed by companies that use customer media and content that works to help customers discover their products and to build long term relationships with those who become buyers and users. Here are six companies we believe are demonstrating some of those traits. In the current Idea Email, we examine “Shared Links,” a new default feature that will be included in the next version of the Safari web browser. I believe this feature has the potential of broadening the understanding and popularity of what used to be called (by a small group of early social-media geeks) social browsing–taking it from a geek-user pattern of web usage into a mainstream pattern. Simply put, the concept adds a layer of “content suggestions curated by friends” to the typical kind of web browsing most non-technical people do. For marketers, this presents both challenges and opportunities. Posted in Content Marketing, Customer media, Customer media basics, Digital Media, How Great Companies Use Customer Media, Idea Email, Marketing, Media Trends, by Hammock Inc. 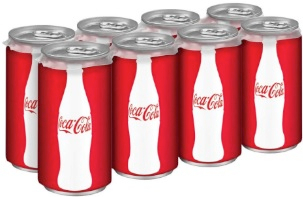 Here are some of the lessons learned from the first six months of the new approach, according to Coca-Cola executives, including Ashley Callahan, Coca-Cola manager of digital and social media communications, who made a presentation about Journey at last week’s Custom Content Council Conference. We also added some observations from our analysis of the site. Because Hammock has a long history of publishing print magazines while, simultaneously, serving as creators of digital media delivered to audiences via screens (starting back in the days of CompuServe and laserdiscs), I’m often asked about the future of print magazines – as in: Will print magazines still be around in the future? These questions typically spike whenever there is news involving closures or layoffs at once-powerful magazines like Time or Newsweek. or when a famous person like a Facebook co-founder sparks a lot of media coverage for buying a magazine like The New Republic. Posted in Customer media basics, by Hammock Inc.
Companies that earn the loyalty of customers are those that treat sales transactions as part of an ongoing journey, not as the finish line. Such companies focus on relationships that go beyond selling and focus on adding value to the products and services they offer their customers. 1. Create better instructions and user manuals. After investing so much in product development, marketing and sales, many companies — even ones selling us expensive products like TVs and cars — ignore the importance of the first message customers experience after they take ownership of the product. Even if you’re in a professional or business-to-business marketplace, the communication materials developed for the “on-boarding” period of any new product or service will set the tone and expectations for all that comes after that. When you treat such media as an afterthought, you’re communicating to the customer that you valued them more before the sale than after. There are two kinds of online content* that really matter to customers: 1. Chronological content (or what at Hammock, we call, Flow Content), the type of news and information that keeps us abreast of what’s happening now, real-time, that is of importance to us in our work or personal lives. 2. Contextual content (or what we call, Flow Content), the type of every-green content that provides us the understanding and knowledge when we need it. Flow Content: This is the content that’s important because of its time-stamp. It is a never-ending stream and river of news and information that comes when the sender decides we should receive it, not necessarily when we expect or need it. It comes in the form of tweets, updates, email, text-messages, RSS feeds, etc. We can’t live without it. Often, it’s this kind of Flow Content that customers say over-loads them. That makes sense, as it over-loads all of us, especially if we don’t know how to organize it. In that case, we ignore it.